I've done a few wedding makeup jobs in my time, as a makeup enthusiast its one of my favorite things to do. Before I did my first makeup job for a friend's wedding, I made sure to get some sound advice from makeup artists on the best wedding makeup tips for the most beautiful bridal makeup. Eyes - use "light-catching" eye-shadow (frosty colors are best) at the brow-bone arch, the centre of the eye-lid and the corner of the eye. This will create an optical illusion that the eye is fuller, wider and more defined. 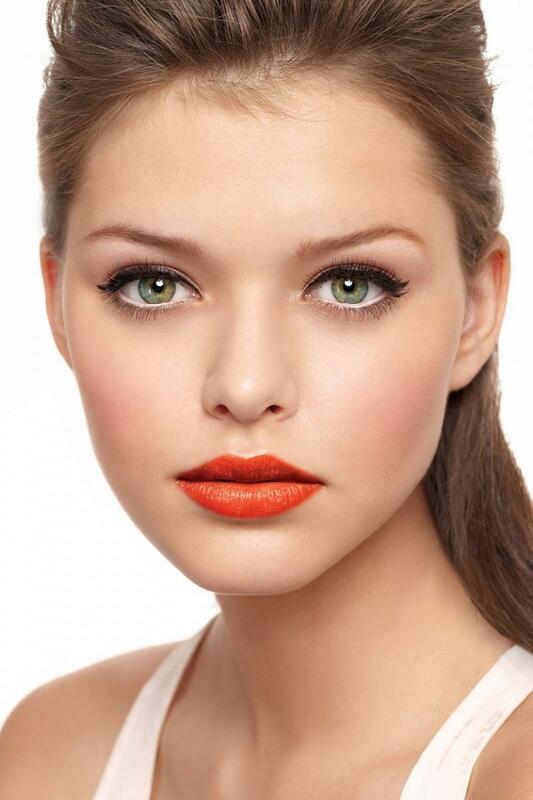 Lips - another optical illusion for a pouty lip is the use the same highlight for the eyes in the centre of the lips. Simply press the shadow with a finger into the lipstick - this will not add color, but it will catch the light. You can also contour the lips by using a slightly darker tone in the corners of the mouth which will accentuate the pouty look. The best wedding makeup tip I've ever come across is to use an airbrush makeup foundation. There are major benefits from airbrushing which really have to be seen to be believed. Not only is the coverage supreme, but the products are really long lasting. Your makeup won't budge throughout the entire wedding, reception or that one on one time with the new hubby! (Every bride's dream) Contouring can also be done very easily with an airbrush and it often looks much more realistic than when done manually. Steer clear of red lips. Not only do neutral and pink colors look more subtle, but red lips are more likely to kiss-off and smudge. They can also make teeth look yellow. (gasp) The one thing I know is that brides want to look like the best version of themselves and they don't want to have so much makeup on that they look like a complete stranger. You certainly don't want to have to spend an hour taking off loads of caked-on makeup on your wedding night. For more wedding makeup tips and secrets take a look at the link below.